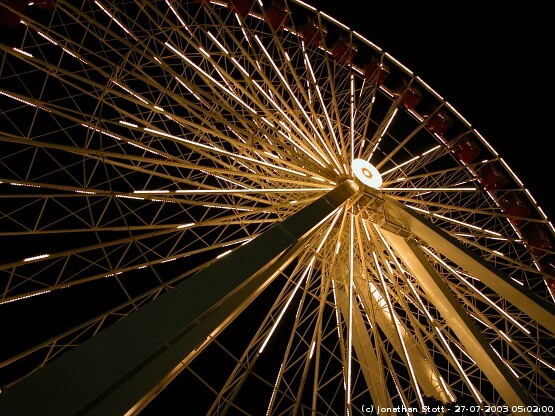 The Navy Pier in Chicago is a 3000ft long pier on the shoreline of Lake Michigan. The pier was built in 1916 to accommodate package freight vessels and excursion steamers. The current layout of bars, restaurants, shops, exhibition halls and audtoria was built in the 1990s. 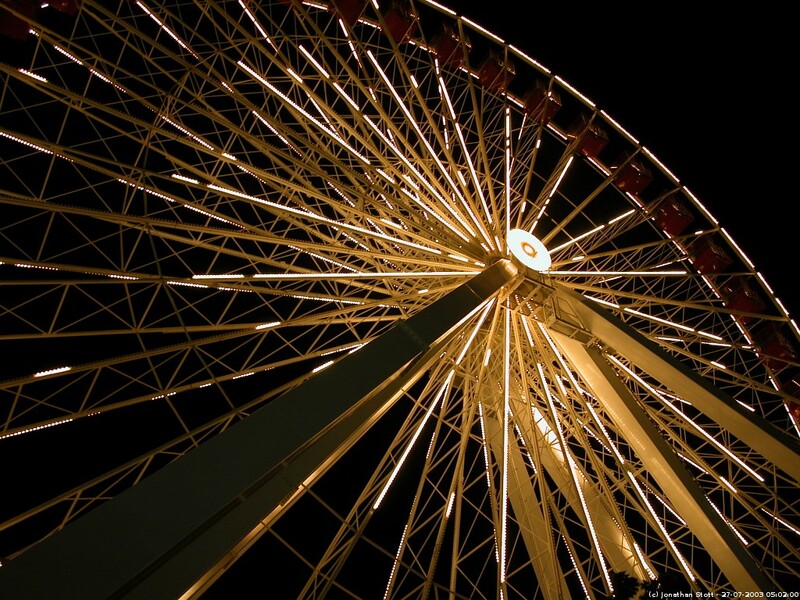 The photograph here is of the 150-foot high Ferris Wheel, lit up at night.